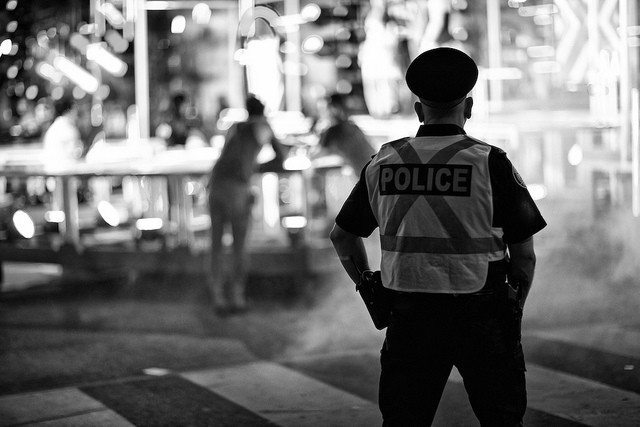 Want to achieve better policy outcomes on paid duty policing? Let's be more frank about the costs. Toronto’s Police Service managers are skilled at hiding potential budget savings behind a wall of paperwork, process and professional jargon. A new City staff report plays into that habit by downplaying just how much one wasteful practice—paid duty—costs the City of Toronto. Through paid duty, uniformed Toronto Police Association officers have a monopoly on private security work for most street closures, parades, on-street construction sites and other public events. While a 2011 audit [PDF] suggested City Hall has considerable flexibility to curtail paid duty costs, city officials have been deadlocked for years about just how much flexibility provincial law allows to make substantial changes. So at the request of Council, city staff recently drafted a report asking Queen’s Park to amend its laws accordingly. Executive Committee is scheduled to consider the report today. The new report states that officers earned $25 million in extra income from paid duty in 2015 and that only $1.25 million of that was spent by City of Toronto departments and agencies. The Police Service recouped another $5 million from paid duty equipment rentals and administrative fees. At first glance, that looks like a win—but only because the staff report sidesteps other ways that paid duty is a big cost to Toronto’s treasury. First, there’s the cost of paid duty for non-profit special events. The 2016 report reads as if this is someone else’s problem. However, special events have received millions in grants to “cover higher costs” in recent years. One of the biggest cost drivers is the pressure to hire more and more uniformed officers for paid duty. The Police Association has the authority to set paid duty hourly rates, so it’s no surprise that paid duty wage hikes also outpaced inflation since 2004. That helps to explain one conclusion of the 2011 audit, which found that a few officers were even sidestepping regular duties to take advantage of richer paid duty shifts. But there’s another larger cost beyond special events subsidies. The most frequent and visible use of paid duty is to provide security for on-street construction work. Paid duty apologists insist that private construction firms pay for police paid duty on their job sites. In reality, private firms working on public jobs—like road repairs, new bike lane construction or waterworks renewal—bill every penny of their costs back to City Hall, just as any contractor would bill you for his or her costs to renovate a house. Those costs include paid duty security. And the budget from which most of these projects is funded is Toronto’s capital budget—the side of the budget that pays for infrastructure. Much of the infrastructure budget is itself financed with bond issues to amortize construction costs over the life of the asset, and longer 20-30 year debts are now typical to take best advantage of low interest rates. Meaning: at least some of the unnecessary cost for paid duty is certain to be funded with borrowed money, with all the accumulated interest that comes with it. Given the financing costs, some paid duty at public construction sites could be north of $120 an hour, all so highly-trained police can make $68 an hour to stare at passersby. The 2011 audit confirmed that paid duty on publicly-funded job sites cost the City more than direct paid duty spending by departments and agencies. It priced this cost at more than $5m back in 2009, without factoring for any back-end debt financing. However, the 2016 report that’s in front of the Executive Committee today skates past this substantial annual cost without an estimate. In fact, all it says is that “consistently identifying paid duty charges to third parties working on behalf of the City remains a challenge.” That’s it; there’s no hint that those third parties may be charging back millions of dollars every year to the city. Combine this with the subsidy of paid duty through special events and the direct costs to city departments and agencies that actually made it into the report, and it’s plausible that the City may really be the end-buyer of more than a third of that $25m cost. Remember: paid duty work could be done just as effectively for very fair wages by security contractors, commissionaires or a force of police cadets at a fraction of the price. But there won’t be any urgency to seek more sensible alternatives as long as city staff reports perpetuate the convenient myth that paid duty is someone else’s problem. As you read this, a task force appointed by the Mayor and the Police Board is working to squeeze out substantial police budget savings for 2017. If we want a better city, we’d better hope they succeed. Inefficient police management practices have done more to divert cash from infrastructure investment than any other factor in Toronto’s budget. Reforming paid duty is just one of several changes that can stabilize out-of-control police spending without any impact on frontline crime prevention. Other changes could include shrinking the Service’s real estate footprint, reducing shift overlap, outsourcing parking patrols and court security, shrinking and consolidating the sprawling list of special units, increased use of mobile technology and civilianization of administrative and training work. These cost-saving reforms shouldn’t have a negative impact on crime prevention. On the contrary: several may actually improve frontline police productivity, as they have in cities like New York, San Francisco, Los Angeles, and London. But for change to happen, city officials at every point in the debate have to be more candid about all of the weaknesses in the existing police management model—or else public support for change won’t be there when it’s needed. Brian F. Kelcey is an urban policy consultant with State of the City Inc. He previously served as a senior political advisor at Queen’s Park, and as budget advisor to the Mayor of Winnipeg.